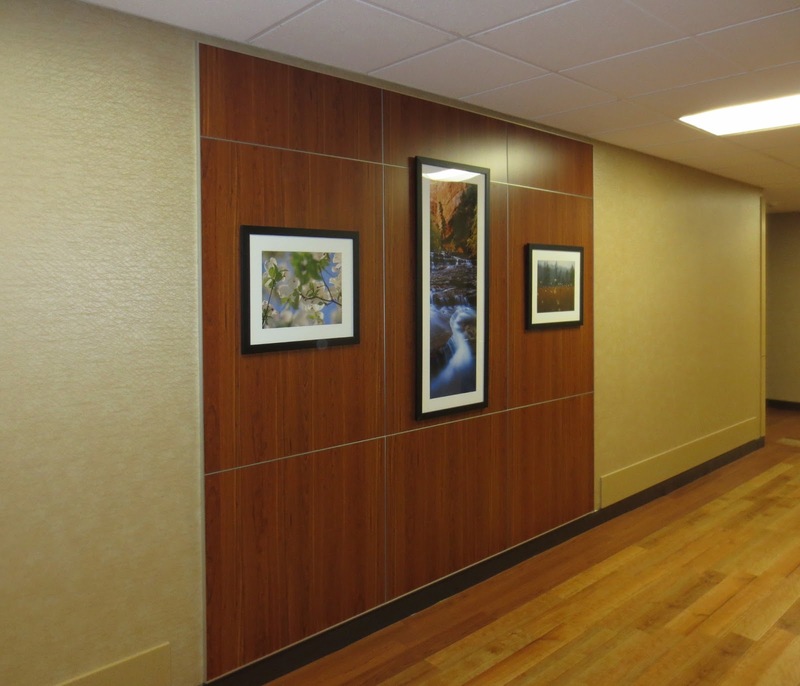 The new 25,000-square-foot wing at Sebasticook Valley Hospital merges modern medical care with earth tones, quiet and privacy. The new wing opens Monday, with 19 private rooms, each with its own bathroom, shower and sink. 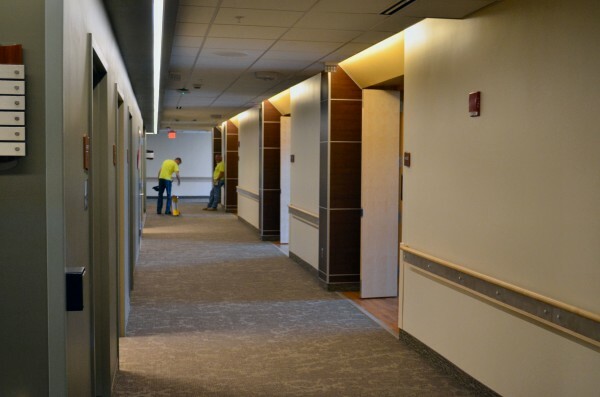 Six existing inpatient rooms will be renovated to match the news ones, bringing the total number of rooms to 25, said acting Chief Executive Officer Terri Vieira. 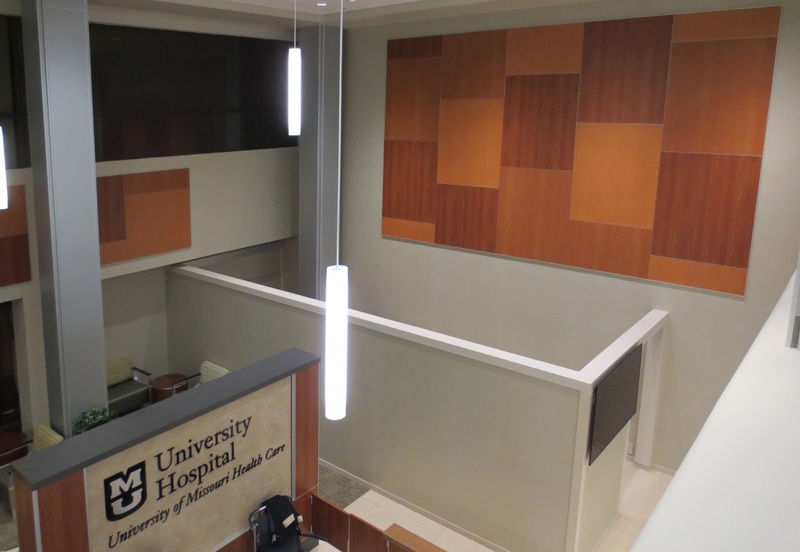 In the old inpatient wing of the hospital, built in 1963, each room had two beds with one toilet and a sink to serve four patients, so it was time to modernize for patient comfort and privacy, Vieira said. 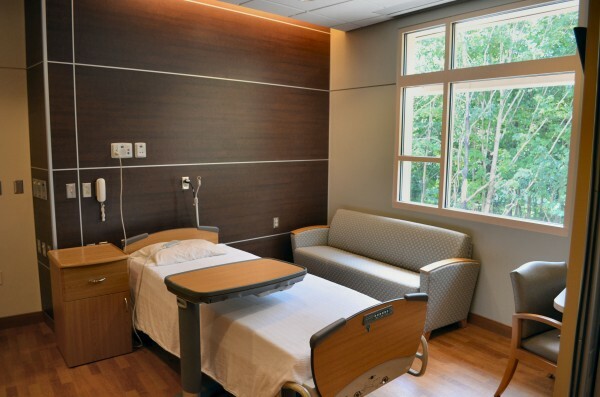 The new wing at Sebasticook Valley has five large “super suites” with two beds each, a couch, television, private walk-in shower and large windows, all separated by a retractable wall for privacy for longer term patients. 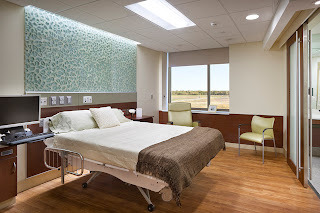 The expansion also includes three special care rooms, with a lift system that can take critically ill patients directly from bed into a nearby shower room. Vieira said the hospital serves more than 30,000 people a year. 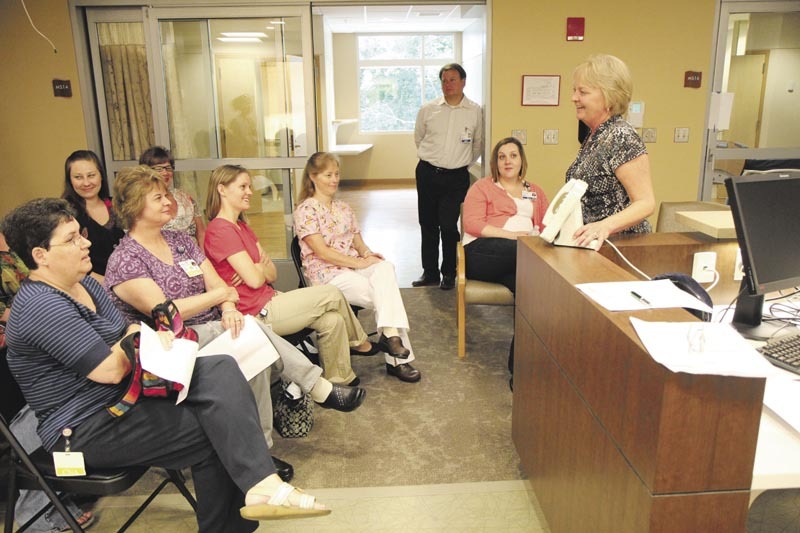 “I believe health care is local and we’re going to be here for those communities and those people,” she said. Vieira said 25 beds is the maximum allowed for rural, so-called critical access hospitals to be eligible for federal funding. 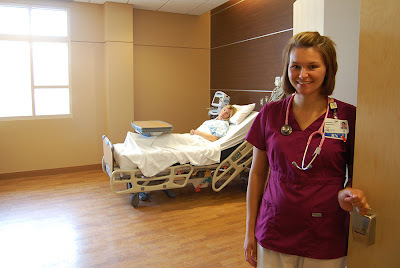 The designation was established by federal law for special payments under the Medicare program. The layout, with earth tone walls, deep carpeting and low ceilings with acoustic tiles to absorb sound, is a loop of patient rooms with staff work stations down the center of the loop. Doors from the service stations open onto each corridor of the loop. 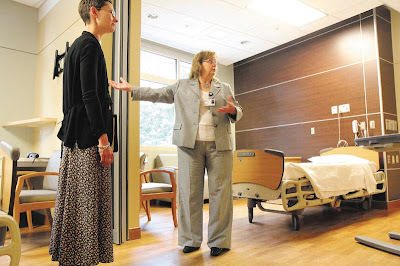 “This is a new layout for the future and I think a lot of hospitals will be presenting this kind of format with private rooms and thinking about patient wellness,” Yarbrough said. 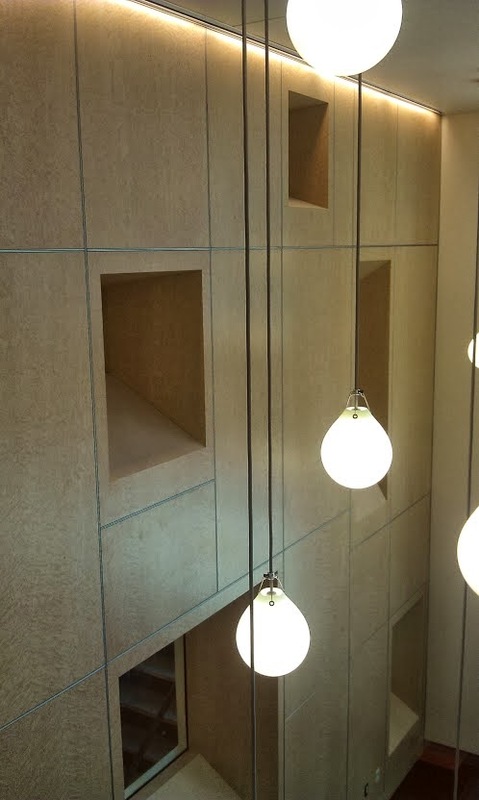 The wing is also designed to keep noise to a minimum, she said. 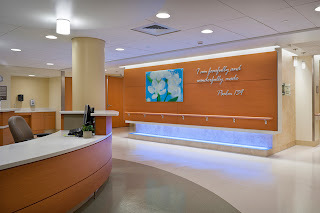 There are four nursing stations, a kitchenette and bedside controls that operate lights, control the television and call nurses for specific reasons like water, pain medication and help into the bathroom. 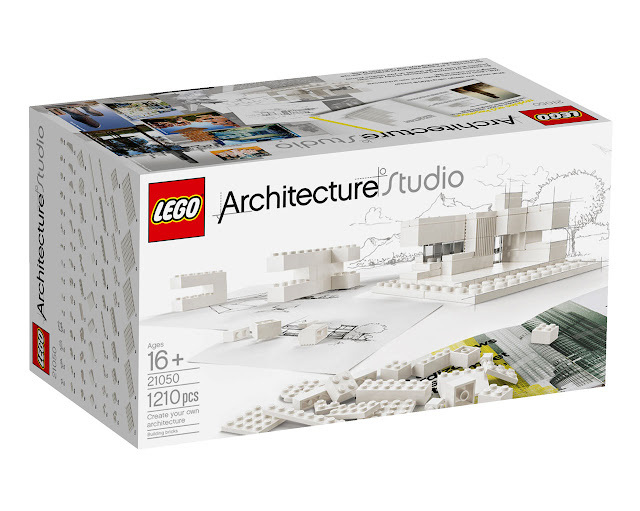 Marlite is giving away a LEGO Architecture Studio set. Once we reach 5000 twitter followers we will select a follower at random to receive the LEGO Architecture Studio set. 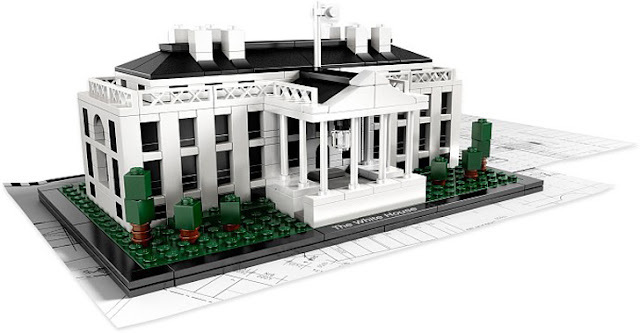 This is an adult lego set see the features below for more information. 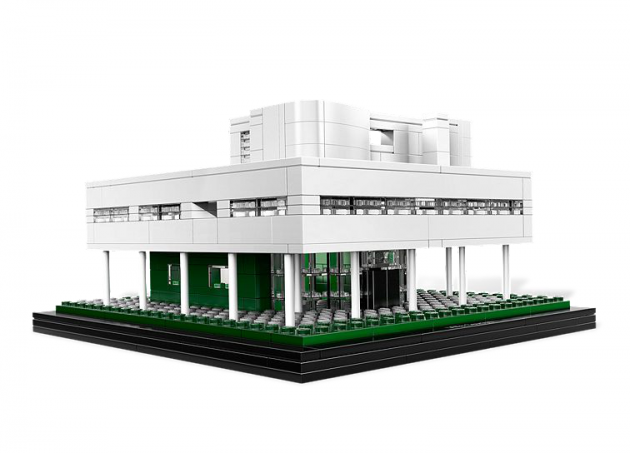 Bring your architectural creations to life in LEGO® form with LEGO Architecture Studio. 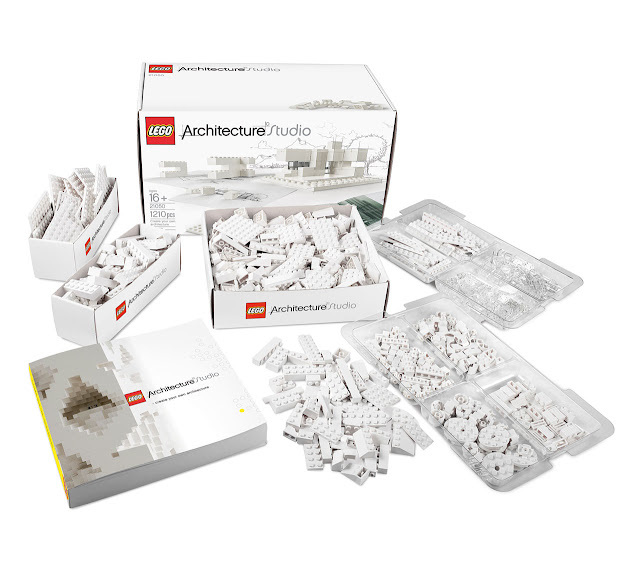 In this amazing set you get over 1200 LEGO bricks and an inspirational guidebook filled with 272 pages of tips, techniques, features, and hands-on exercises endorsed by leading design houses. LEGO Architecture Studio gives you everything you need to create your very own unique buildings. 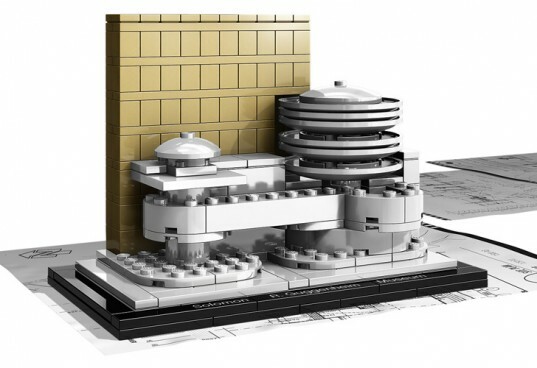 Let your imagination guide your design! 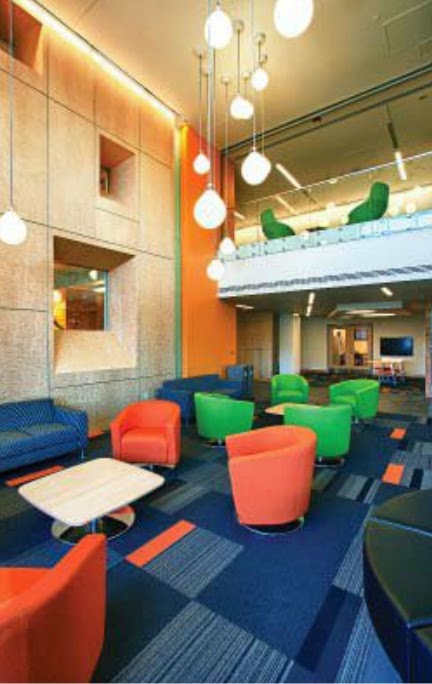 Allison Curran was awarded an Outstanding Design Award from American Schools and Universities Magazine for this amazing design. 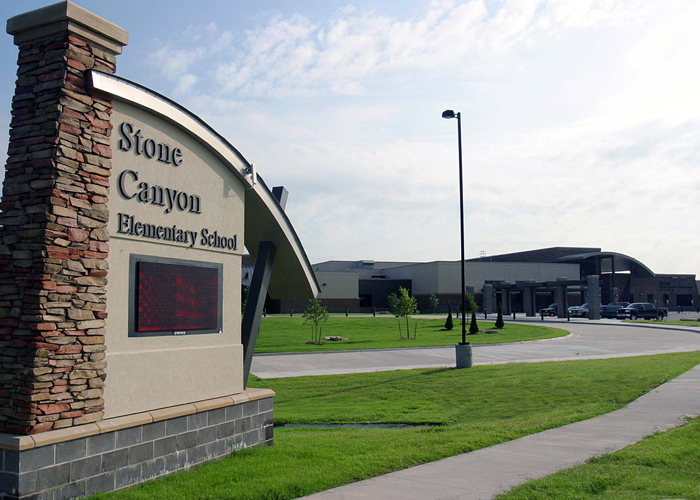 Stone Canyon Elementary’s program was developed through a collaborative process that included school administrators, teachers, the community, architects and interior designers. The program called for a 650-student facility that would maintain a sense of community and scale, as well as take cues from the unique site. 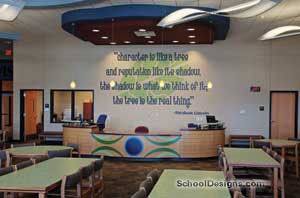 The Stacy Group develops the idea of a "School of Character" using nature as the backdrop. 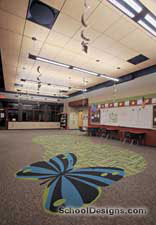 Each grade level has its own pod with a representative character trait and insect. This enables students to adopt this mascot and corresponding character trait throughout each year in the facility. Security was paramount when designing the facility. 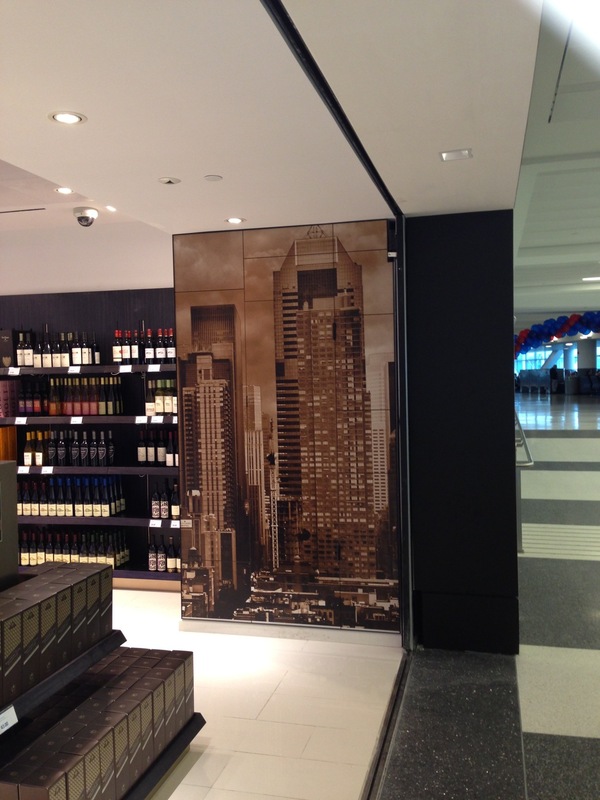 The design includes a secure vestibule that enables controlled access into the building. 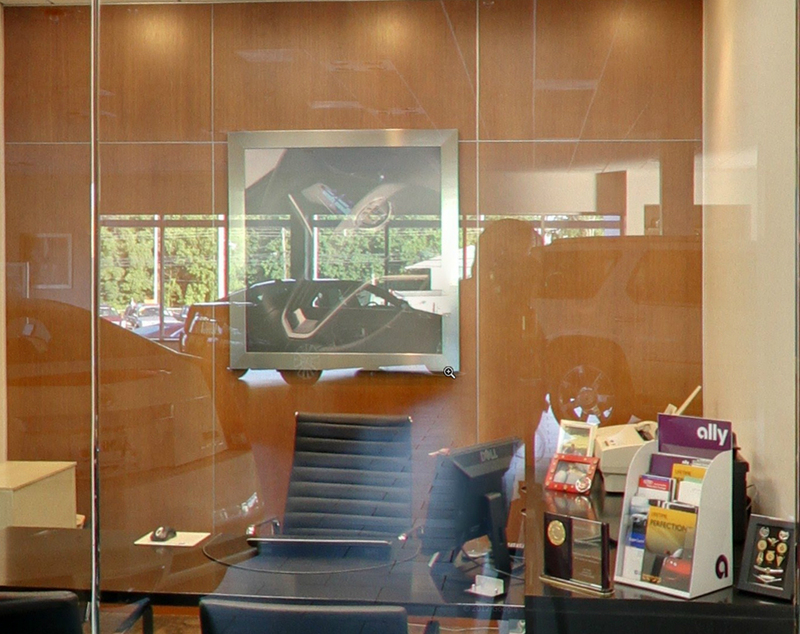 All of the exterior entrances can be seen from three camera locations. 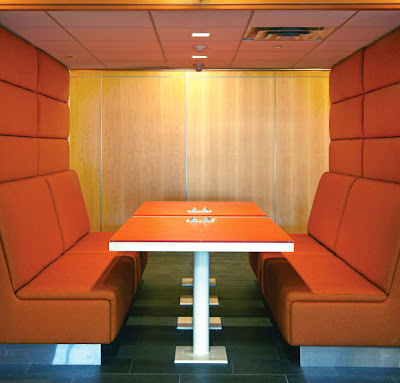 Each pod can be locked from the interior and eliminate access from the main corridors. This enables egress through the pod and away from intruders. Energy efficiency and operating costs also were identified as high priorities for the building. 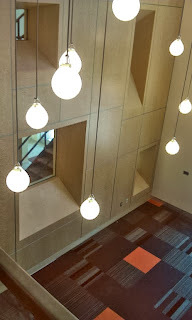 The facility has daylighting in each area. 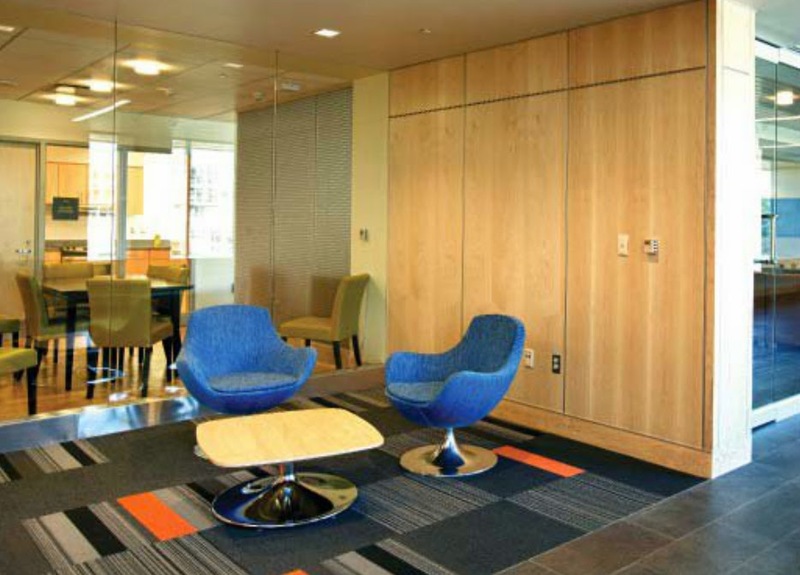 The building also utilizes an energy-management control system. 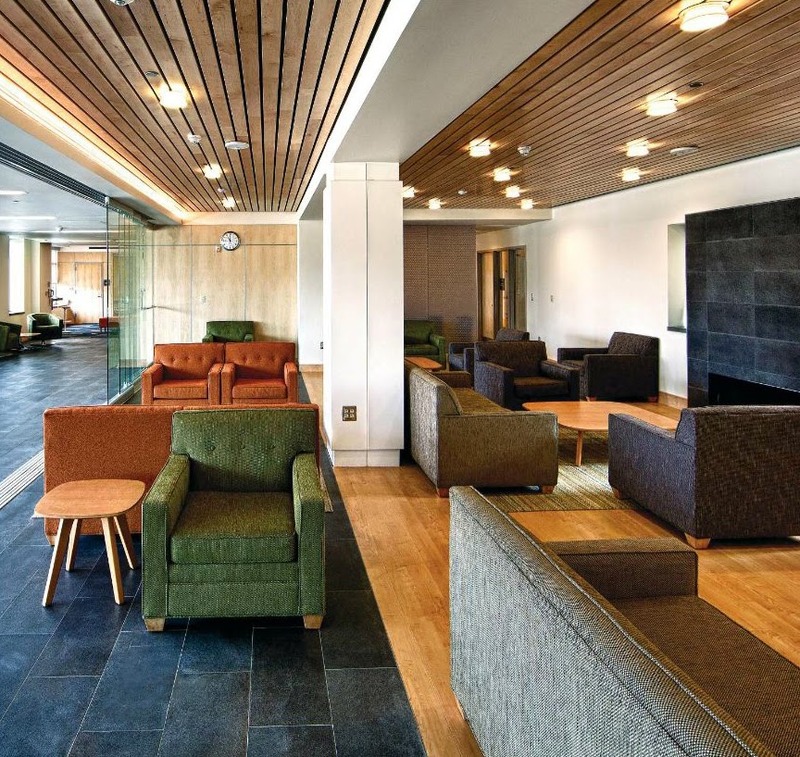 For additional energy savings, motion sensors control lighting in common spaces throughout the building, and sinks and toilets have infrared controls. Each pod has an outdoor classroom that encourages teaching outside the box. 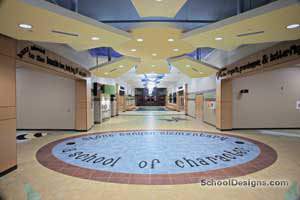 Administrators wanted to develop an area where students could be more hands-on with class projects and interact with nature. 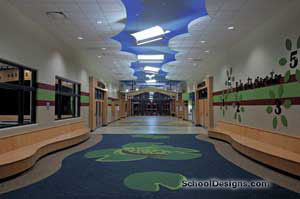 The outdoor classrooms extend beyond the building and are specific for each age group. The design of the interior spaces incorporates colors, shapes and textures to help students and visitors navigate the building more easily. 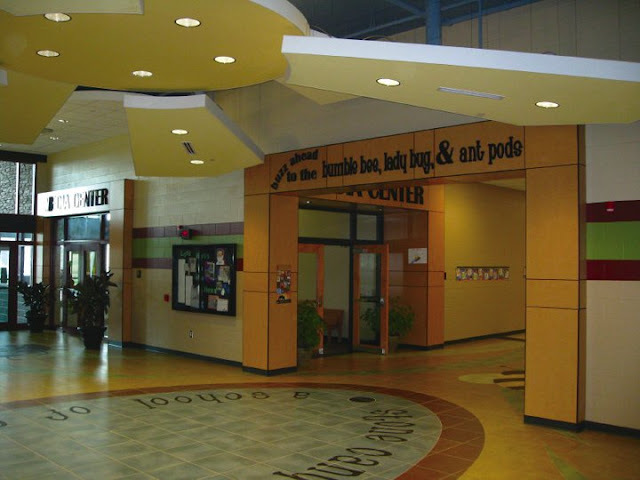 By giving each pod its own entrance and identity, students develop a sense of community and ownership that teachers can use in the curriculum. Via Christi Hospital in Pittsburg is a regional leader in health care for southeast Kansas. 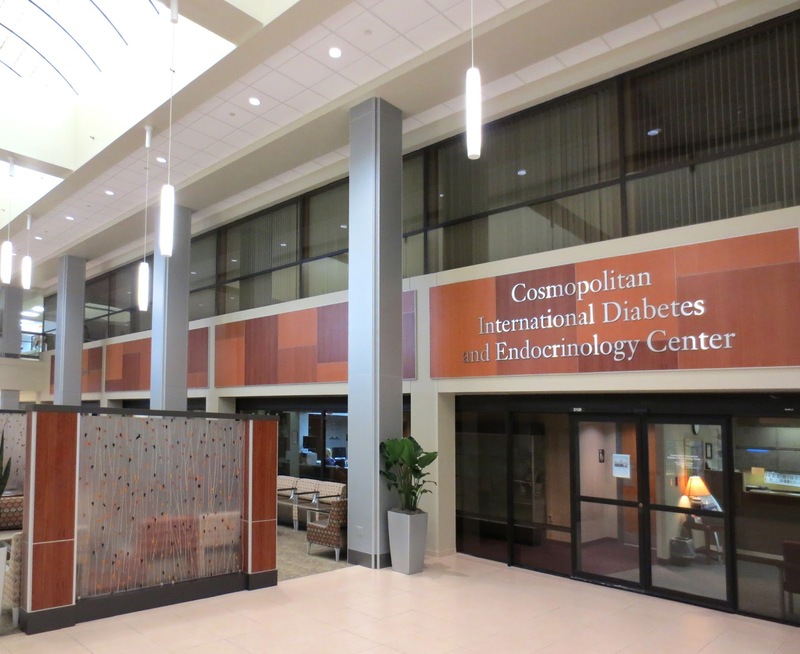 Our comprehensive Cancer Center was among the first in the region and is fully certified by the American College of Surgeons. The Via Christi Heart Center features a state-of-the-art catheterization lab and is supported by our newly renovated $2.6 million Cardiac Stepdown Unit. 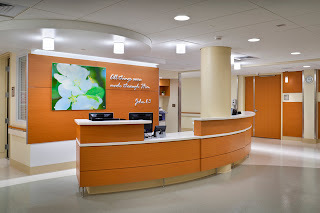 Our Emergency Room is recognized as a Level III Trauma Center by the Committee on Trauma of the American College of Surgeons. 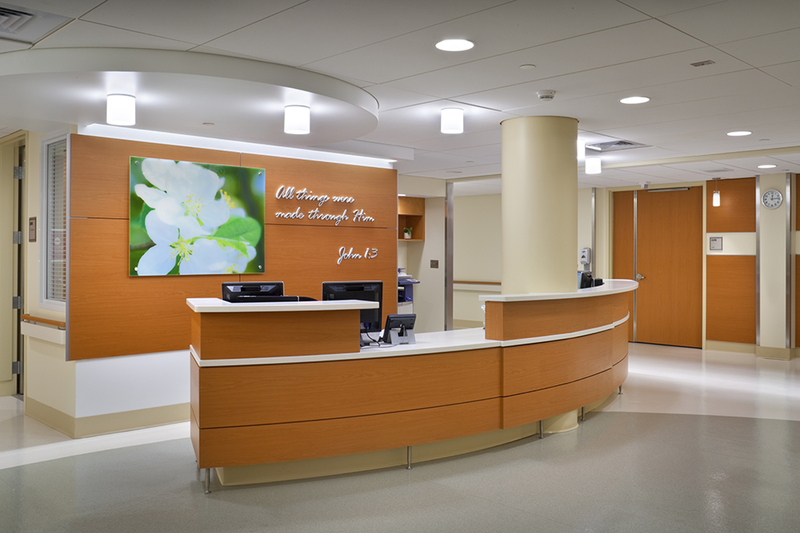 Our specialty service line is extensive and includes Orthopedics, Diagnostics, Surgery, Physical Therapy and Occupational Health. 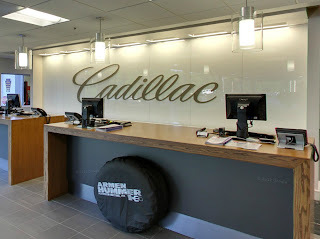 Every day we make a difference in the lives of those we serve. We're committed to our mission of serving as a healing presence with special concern for our neighbors who are most vulnerable. 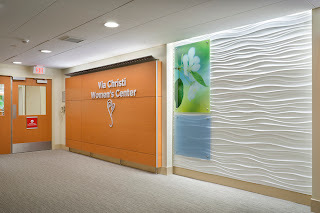 Before designing the Women’s Center, HMN’s team accompanied the client on a tour of several other facilities to “benchmark” the preferred configuration of the new unit. Mock-up rooms were then developed to determine the desired layouts for the LDR and Post-Partum rooms. The renovated center is three times the size of the previous unit. 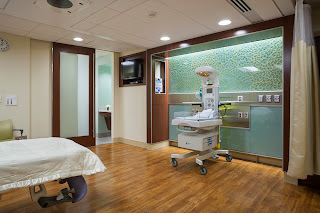 The new Women’s Center has five labor rooms and 13 all-private postpartum rooms. 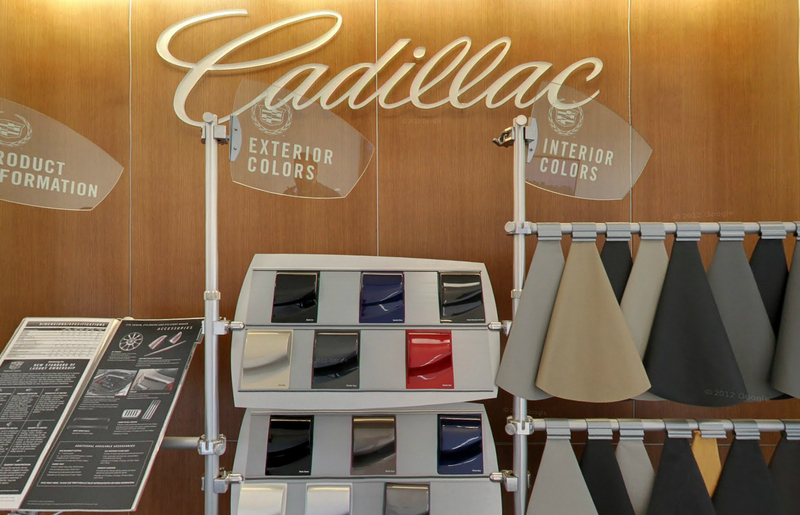 Take an interactive tour of Arman Cadillac's impressive showroom below keep an eye out for the Marlite Surface Systems Decorative walls in each glass office and behind the color choices. Armen Cadillac Showroom Remodel Now Complete! 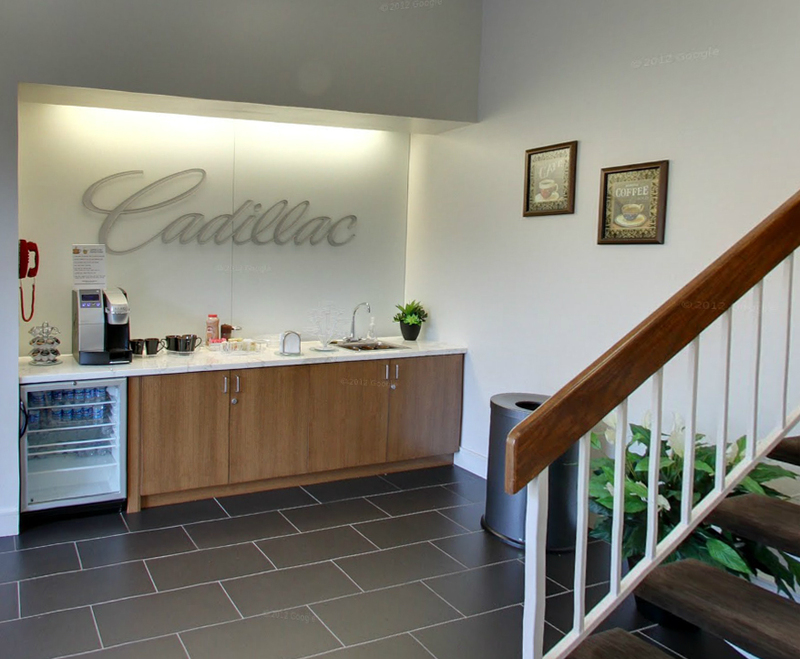 a Grand Re-Opening to our new state of the art dealership! 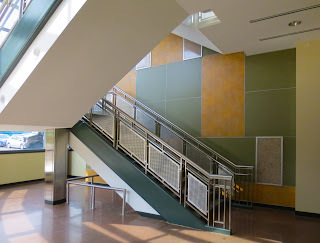 Complete renovation of the 24,000 s.f. 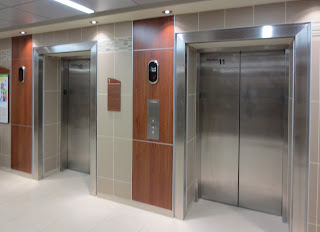 main hospital lobby concourse, elevator lobbies and parking garage entries. 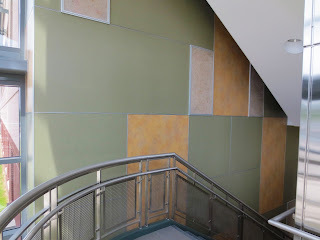 For decades the University Hospital parking garage and lobby concourse has been the gateway for all entering the Hospital. 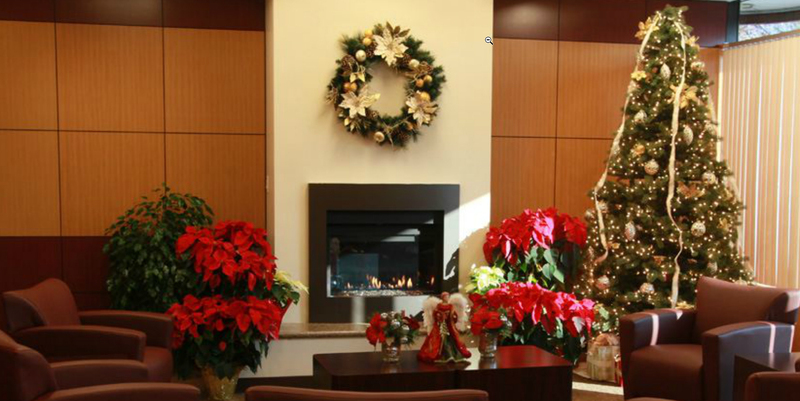 With the new state-of-the-art Patient Care Tower under construction and scheduled for completion in the Spring of 2013, it is also time for the lobby to receive enhancements that will provide a visually cohesive transition from old to new. 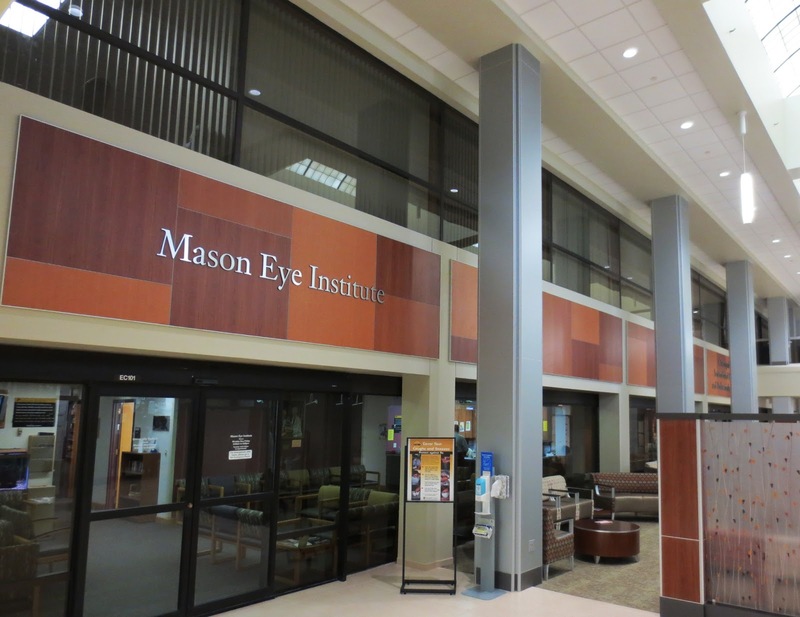 Garage entries are designed to coordinate with materials and detailing of the new patient care tower, offering updated facades and well lit canopies to attract and welcome patients and visitors. The lobby concourse will be enhanced with wood tones, natural hues and textures reminiscent of the new Patient Care Tower finishes. Relocation of information desks and reconfiguration of seating will support new pedestrian traffic patterns and offer a variety of seating opportunities. For consistency and way finding, elevator lobbies will be renovated to include similar finishes and detailing also found in the new tower. 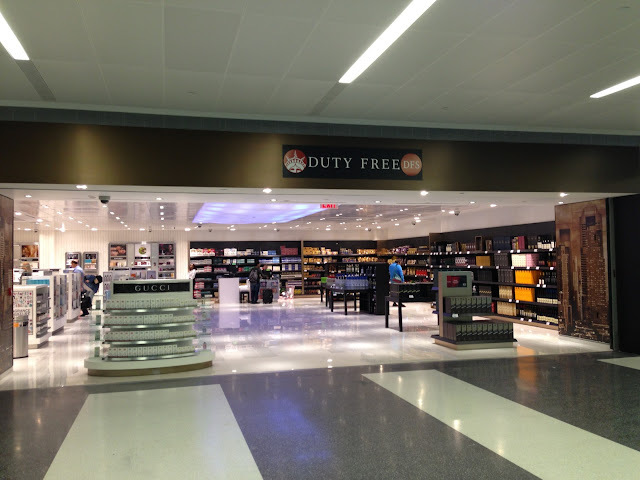 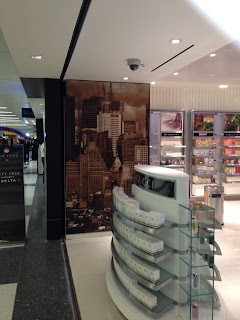 The Shops at Terminal 4: Something for Everyone! 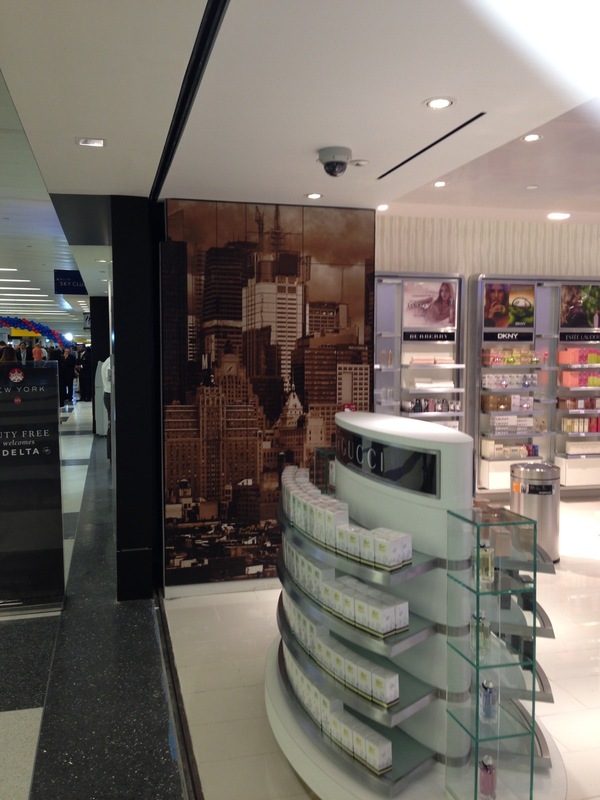 Terminal 4’s expansive shopping mall offers a wide range of retail options with something for everyone. 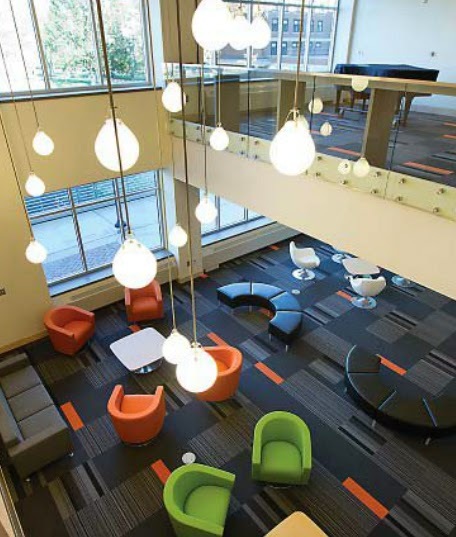 Numerous factors place an increasing demand on science facilities at SIUE: rising interest in the sciences, recognition of the importance of lab experience for general education, as well as SIUE’s participation in the Illinois Articulation Initiative, which requires all undergraduates take at least one lab-based science course. The existing science building is used seven days a week to meet lab schedules. 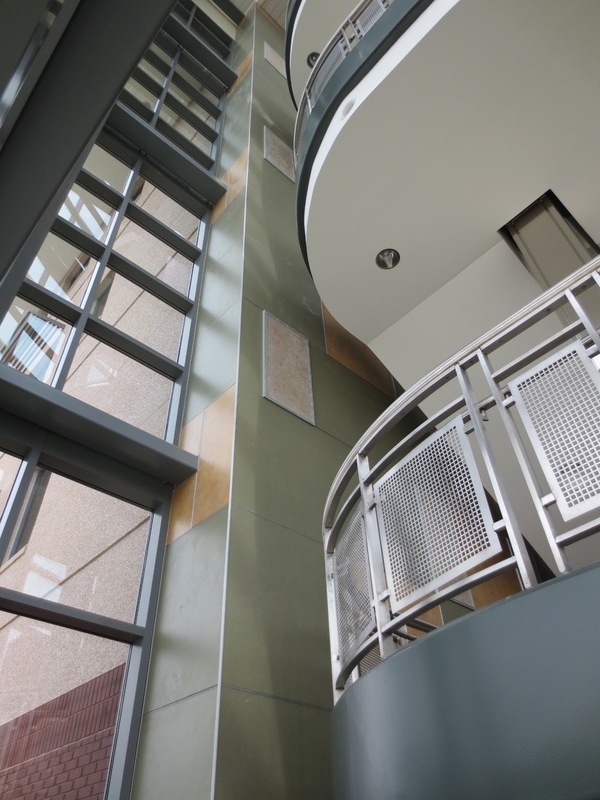 Constructed in 1966, it houses Biological Sciences, Chemistry, Physics, Mathematics and Statistics and Environmental Sciences. 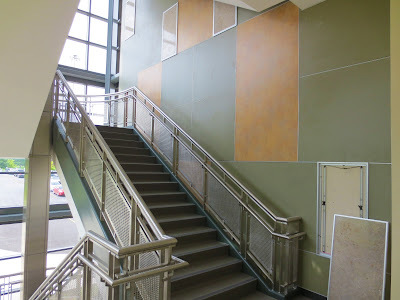 Code limitations severely restrict teaching and research programs and piecemeal modifications have taxed the building’s mechanical systems. 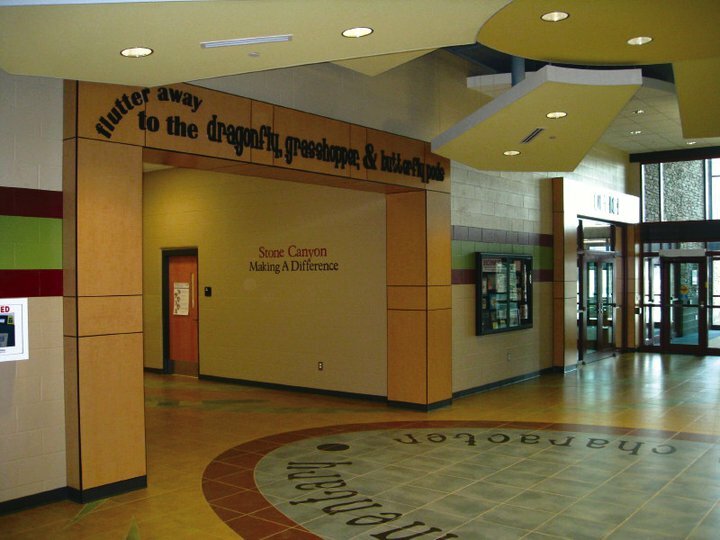 SIUE hired Hastings+Chivetta to design a renovation of the existing building and construction of an adjoining facility to enhance quality of instruction and to attract top faculty and students. Programming incorporated current trends in science education including smaller classrooms, instructional technology, student research, interactive learning and interdisciplinary spaces, especially laboratories. 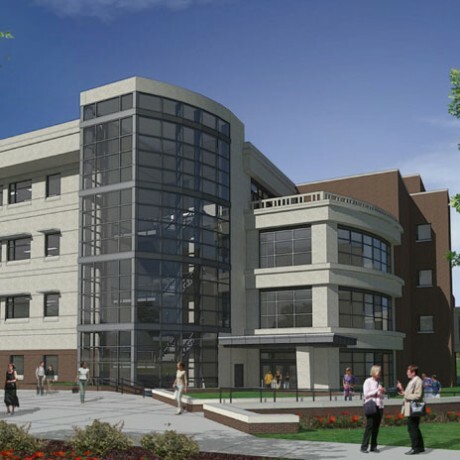 Specialized labs dedicated to specific sciences will accommodate adjacent cold rooms, warm rooms and environmental growth chambers. 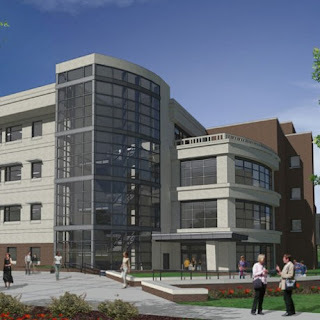 Other components will include a machine shop, a scanning electron microscope facility, a darkroom, animal care facilities, conference rooms, study areas and student lounges. 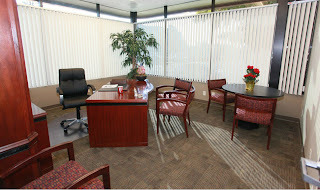 This project was a tenant improvement project. 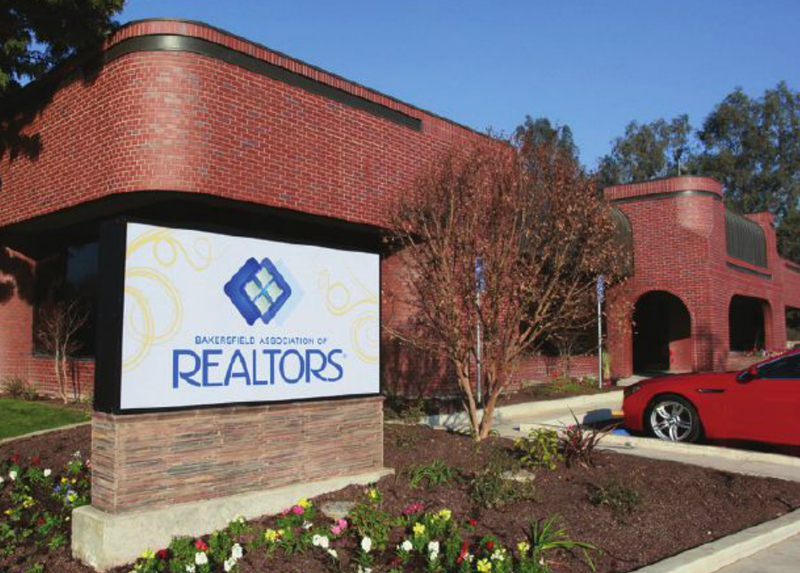 The Bakersfield Association of Realtors purchased the building and it was completely remodled including new walls. 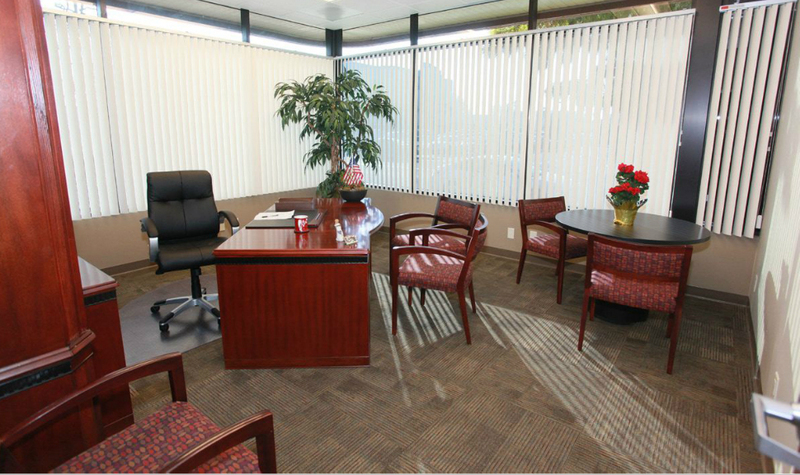 Marlite Systems were located in the board room for excutives to host meetings, the community room to serve as realtor research, and the lobby for guests. The lobby included Volta Dimensional Panels, Surface Systems, and Slatwall.